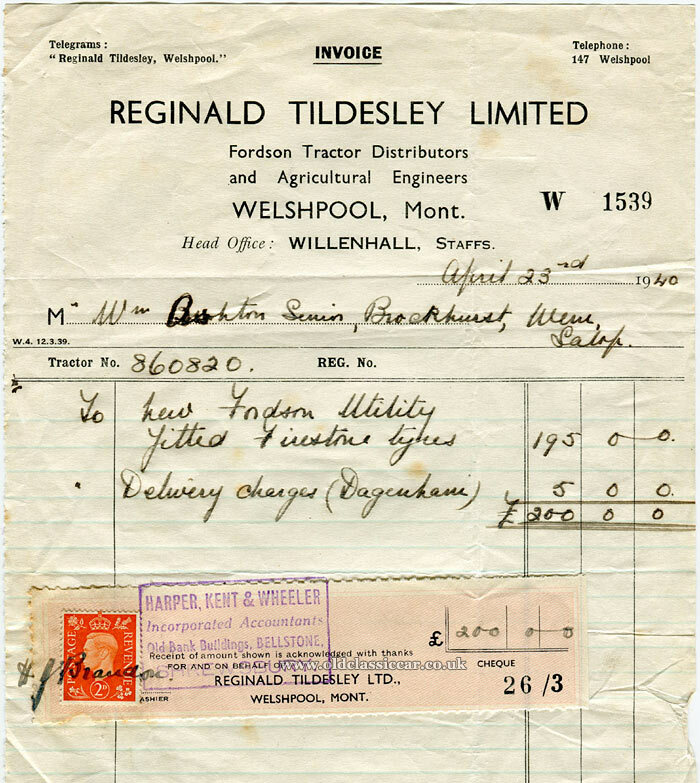 Reginald Tildesley Ltd, Fordson agent Willenhall and Welshpool. Homepage. This page: A new Fordson Utility is sold in April 1940 to a farmer in Wem, Shropshire. Reginald Tildesley Ltd (Fordson distributor), Welshpool. Items of paperwork relating to long-gone motor distributors continue to turn up. This old invoice turned up in an antiques shop in Wem, ie not all that far from where the purchaser of a brand new Fordson in April 1940 worked, in nearby Brockhurst. It's dated April 23rd 1940, by which time WW2 was well and truly underway, and the Battle of Britain only weeks away. The supplying dealer was Reginald Tildesley Limited - Fordson Tractor Distributor and Agricultural Engineers - the vehicle sold from their Welshpool, Montgomeryshire, address in mid-Wales. The vehicle is described as a "Fordson Utility", a model also referred to as the Model N Utility, or the Standard Fordson. The price was 195 GBP, which included a set of Firestone tyres, plus a fiver more to cover delivery from the Ford factory in Dagenham, up to Shropshire. The tractor number is 860820 - does it survive I wonder? Sadly no registration number is given. Reginald Tildesley Ltd's head office was located in Willenhall, Staffordshire. Mention of it, and a photo of a Model A Ford parked outside it, can be found part way down the page on the following Willenhall history website (link). Tildesley's continued trading in Welshpool until 1982, when it was taken over by the agricultural side of Oakley's, which itself was absorbed into Teme Valley Tractors in 1993. 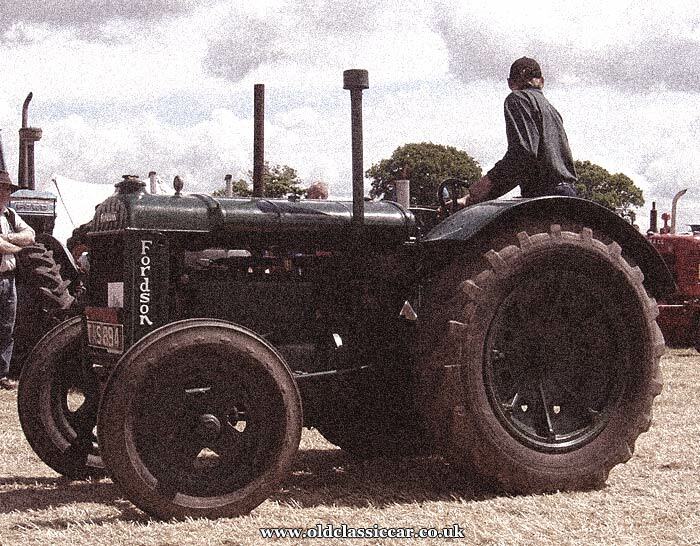 A Fordson Model N spotted at a local show some years ago, is shown below.